The above F70 as added to the reg as VH-NUV on 14/11/2018. ZK-NNA ..Air New Zealand A321 Neo AKL-BNE first revenue flight this arvo.ETA BNE 1630. Another Saab delivery yesterday which i missed. VH-ZPA ...Nashville-Anchorage-Hilo-APW-BNE and now flying BNE-Orange. Either for Fly Corporate or REX. Yes Greg i didn't notice that.Anyway full Penair livery and titles i was told.The brown,gold and white scheme . 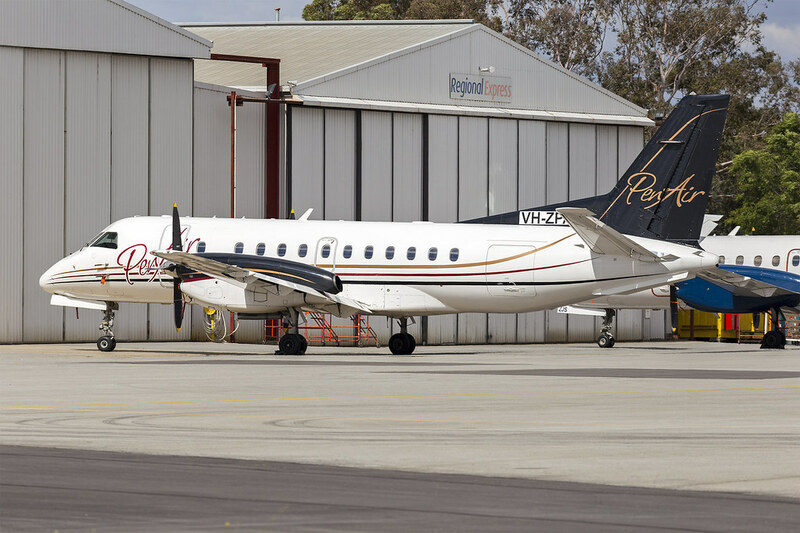 Regional Express (VH-ZPA) Saab 340B, in former PenAir livery, at Wagga Wagga Airport, ex N410XJ delivered from Anchorage. Also had an incident while in Hilo. VH-UQN on it's way TSV-BNE this time eta 1125am local. I am not going unfortunately. Another new delivery to BNE today the one i have been waiting for for a long time. Good to have another 757 in the country after Tasman Cargo one had gone. Photos soon on my flickr page on BNE movements thread.